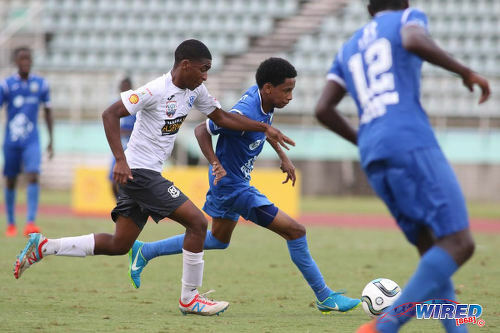 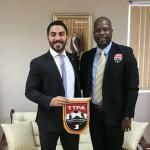 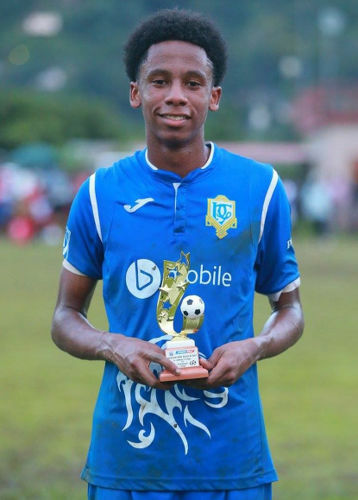 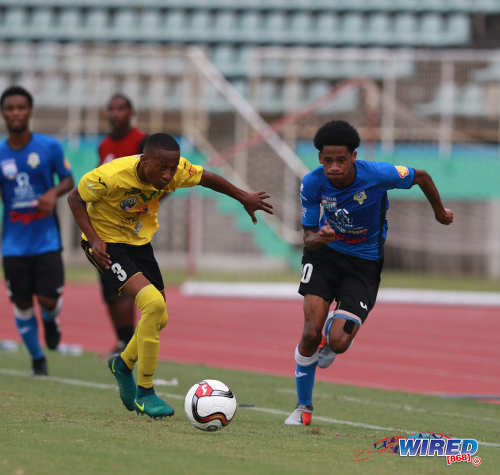 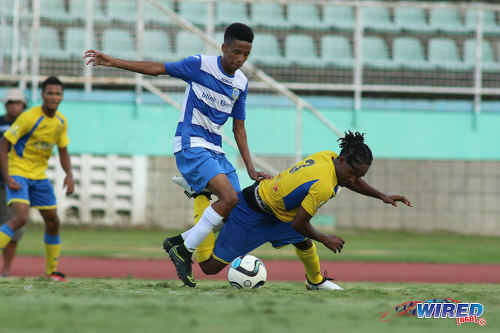 Photo: Presentation College (San Fernando) winger Jordan Riley. 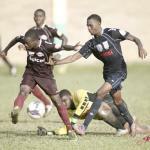 Photo: Presentation College (San F’do) winger Jordan Riley (right) tries to escape from St Benedict’s College defender Merlik Campbell during SSFL action in Marabella on 26 September 2018. 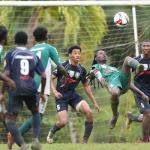 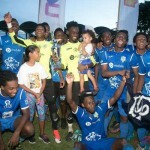 Photo: Presentation College winger Jordan Riley (centre) dribbles past Shiva Boys Hindu College player Shaquille Williams (right) during the South Zone Intercol final at the Mannie Ramjohn Stadium on 18 November 2016.